I'd been so used to lazy weekends and then last weekend Seth and I worked all weekend, that I forgot what it's like to be busy and have plans! Ha! I felt like this weekend was the first real weekend "kick off" to summer and we spent it the best way we know how... go go go! The weekend started on Friday night. I know technically the weekend is Saturday and Sunday, but really the minute that I'm off work on Friday, I consider it the weekend. Seth and Mason were off since Mason's school was closed for a teacher prep day and I hadn't really had lunch, so I suggested that we have an early dinner and go out for frozen yogurt. No objections from the boys, so we did just that. I mean, Mason looks pretty unhappy about having to eat ice cream for dessert, right? What's funny about Mason is that he is not a big dessert lover. I made cookies a couple weeks ago and tried to give him some and he wanted nothing to do with them. Cookies - no, cake - no, cupcakes - no, but ice cream... BIG yes. He ate every last drop. Saturday was our go-go-go day. Every couple weeks, I check the Lowe's Build and Grow website to see when the next Build and Grow is, and, unfortunately for us, the past couple times have been on weekends when we already have plans (or they were full) so we haven't been in quite a while. So, when I saw that the next Build and Grow was for Marvel's Avengers Avenjet this past Saturday, I made sure to set my alarm to make sure I registered on time. This one was a little bit harder than the ones in the past, but the extra steps and pieces ended up being so worth it in the end. Daddy had to hammer a little more than normal, but Mason had his hand right there with him the whole time. And when it was done, you should have seen the look on Mason's face. 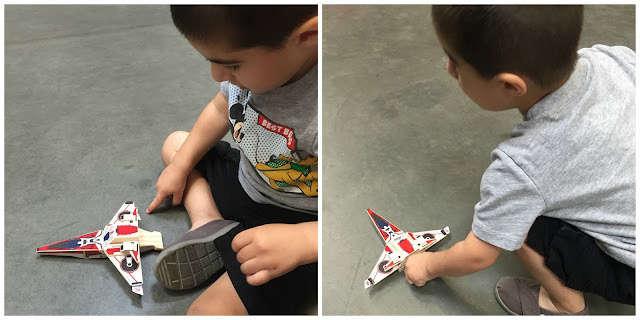 Airplanes are his new favorite thing, so he was over the moon excited to make his plane "fly high in the sky!" 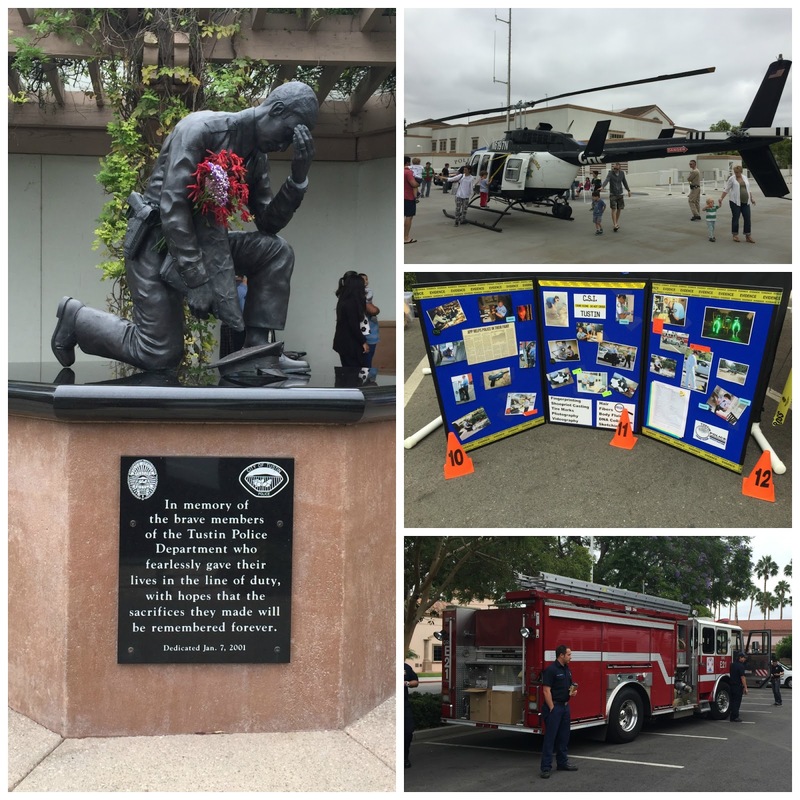 After the Build and Grow, we were meeting some friends at a local city's police department open house. We arrived slightly early, checked out the new library that was right next door, and waited a couple minutes for our friends to come. 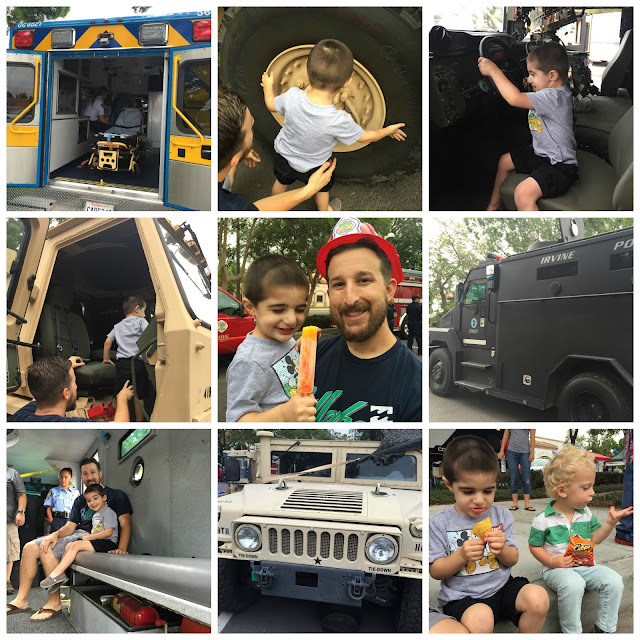 My friend, Lauren, and I thought the boys would be SO excited about all the cars and trucks, but the boys were kind of shy and needed some encouraging to touch or look at anything that was there. The parents, on the other hand, thought the open house was pretty cool! I mean, they had fire engines, police cars, police motorcycles, SWAT team vehicles, a helicopter, the CSI unit, what I thought was a tank but Seth said it wasn't, even some guns, and SO much more! It was so awesome to see it all. They were even giving a tour of the police station, but they didn't allow purses and I didn't feel comfortable leaving my purse outside (even though they had police officers watching the front area where you could leave your stuff), so we decided that we would leave purses at home next time and do the tour then. Plus the boys were kind of over it and getting hungry, so we walked over to where they were handing out free hot dogs, chips, cookies, and waters and Mason scarfed down a hot dog and a whole bag of chips in a few minutes flat. Kid knows how to eat. After the police open house, we were off to a baby shower, where we spent the rest of the day. Don't worry. No children, carts, or poles were harmed in the making of this picture. After Costco, it was lunch time, nap time, and grocery store shopping time, followed by making the most delicious blueberry muffin time (recipe coming soon! ), and then Sunday family dinner time. And there you have it. Our weekend in a (large) nutshell. You had a busy weekend and I finally took it easy a little! Your weekend sounds like a lot of fun! 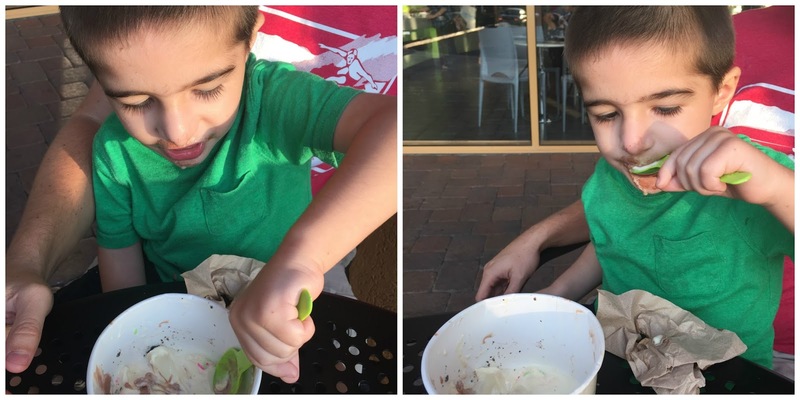 We had frozen yogurt this weekend too... Noah is obsessed! That Police open house sounds amazing! Wyatt would definitely love that! It always makes me a little hesitant though because I known he's not going to want to leave. Ha. Sounds like a great weekend! Such a busy weekend! Filled with memories though ;) that open house seems amazing! It doesn't seem as if activities like that are very crowded in your area? Also, I'm totally with Mason, not a real dessert lover by any means but ice cream is definitely my jam! Especially fro-yo! Perfect weekend full of SO much fun!! And now I'm really wishing I had some frozen yogurt, ha ha! PLEASE share the muffin recipe asap because those sound totally delish! Great, busy weekend!! 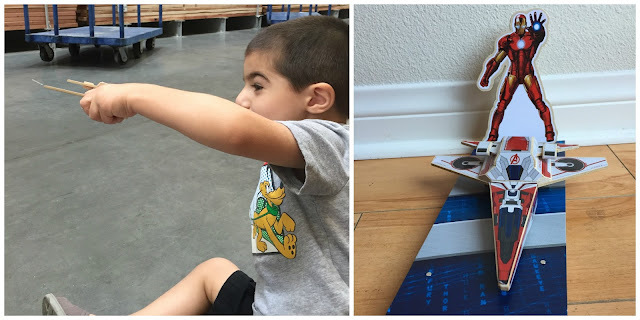 I always love the pictures from the build and grow projects you guys do, Mason seems to really enjoy them. That plane is awesome!! :) Can't wait for some ice cream family dates this summer too. When I worked, the minute I was off on Friday became the "weekend" too. Its all in the mindset. Busy fun weekends are the best. Build & Grow AND police open house?! That is the perfect boys weekend! Whoa, what a fun weekend! You guys do such cool stuff! 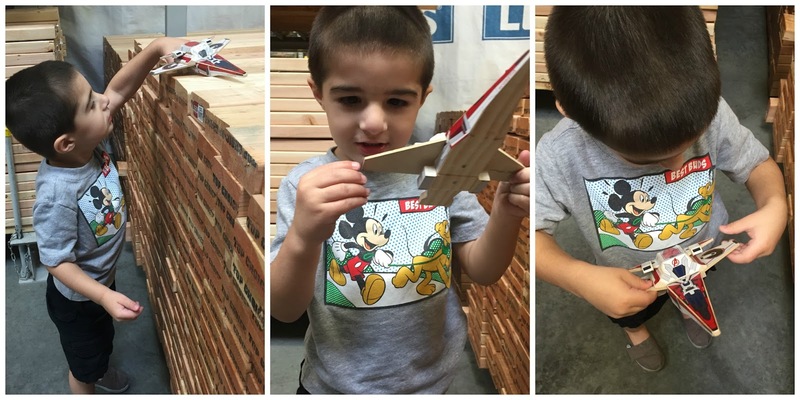 Love that they made a plane! That's amazing! And everyone loves ice cream!!! I love the police open house! How fun is that? Now I want a hot dog. And chips. You really did all the things! 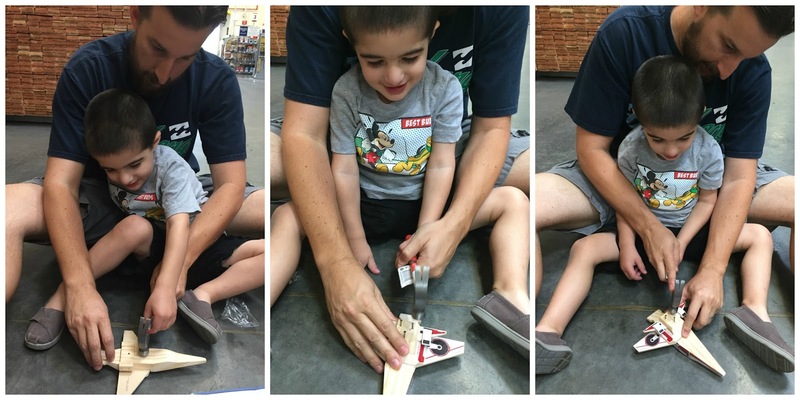 Ice cream and trucks and airplane building etc. I love when we have busy weekends, but we are really getting so hot now. We actually headed off to the park the other day and turned around when we got there because we were melting before we even got out of the car...with AC. nvm fl heat you win again. Sounds like a great weekend! Costco trips are always good! The go, go, go part sounds like our weekend in a nutshell! I love the Avenger’s jet. My Mason would have been all over that. I need to check our Lowe’s to see if they do this kind of stuff. Is there an age limit? That service vehicle event looks SO COOL!!! I would have gone nuts taking photos. Don't you just wonder what goes through our kids heads when we take them to places like that and they're all, "Nah, I'll pass." Like... WHAT?!!! Weekending + [A Year of Dates] June. C U R R E N T L Y // J U N E.
[A Year of Dates] May.